The year is AD 8. In the backwaters of Galilee, the twelve-year-old carpenter Yeshua nourishes an impossible dream—to become a rabbi. When a Buddhist pilgrim tells him about a country called Sindh, where anyone can be a monk, Yeshua’s hope rekindles. He joins a camel caravan and sets off on a thousand mile journey across the Silk Road into the unknown. Guided by the words of the Buddha and Krishna, but crippled by a stubborn reluctance to obey rules, Yeshua stumbles from temple to temple in search for a place where he may finally teach. 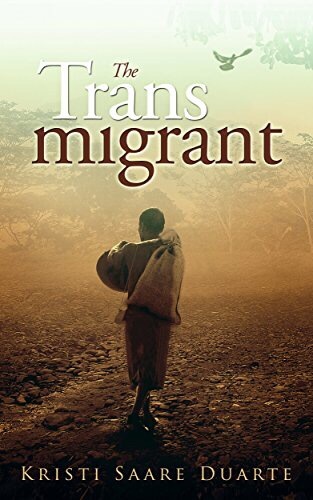 THE TRANSMIGRANT is a remarkable tale of self-discovery that explores the lost years of Jesus. It is a reflection on the lengths a man will go to be admired, accepted and, ultimately, loved. THE TRANSMIGRANT is an alternative take on the life of Jesus of Nazareth. Inspired both by ancient scriptures and relatively new findings, such as Russian traveler Nicolas Notovitch’s 1894 book “The Unknown Life of Jesus Christ”, THE TRANSMIGRANT explores Jesus’ life during the years not mentioned in the Bible. The Transmigrant by Kristi Saare Duarte is a unique historical tale. It takes readers back in time. A lot of research has gone into making this one of the best reads yet. I haven’t read anything quite this good. The Transmigrant is a journey of man. Searching constantly for what he needs. Easy to follow, relate to, and understand. The pages are full of deep meaning. Engaging, well-developed, and stunning. Kristi Saare Duarte showed me the depths of what humans are and will go to….it was amazing. Physically and emotionally. I highly recommend readers to open this book and explore the most famous of all men, Jesus. His life unravels here. this is a very deep and great book, through the chapters and lines, there are powerful and valuable information.